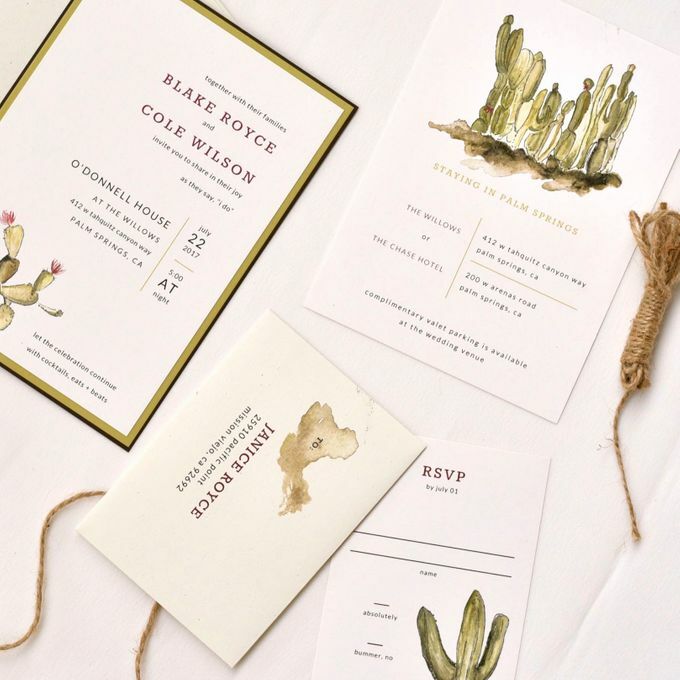 This beautiful ensemble will make you rethink your wedding location. 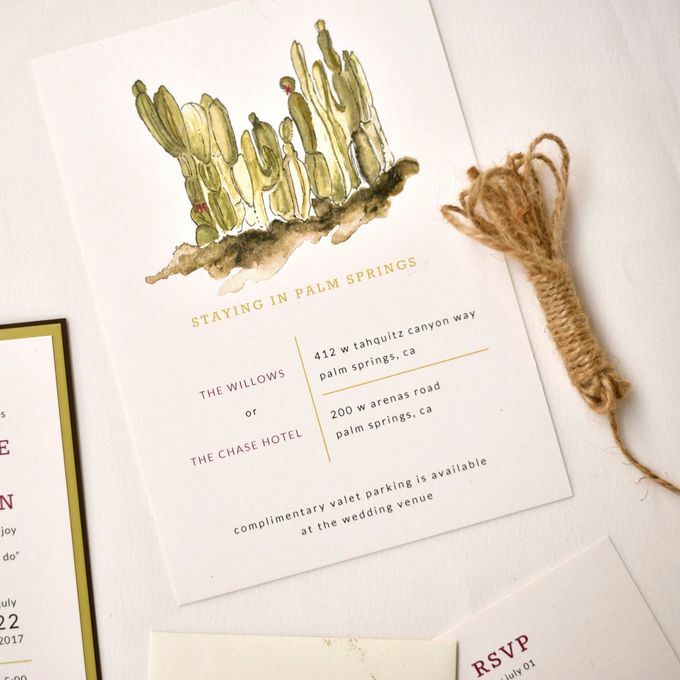 Awash in water- colored cacti and perfect for those getting married in desert settings or rustic themed locations. Offered in three gorgeous neutral colors. 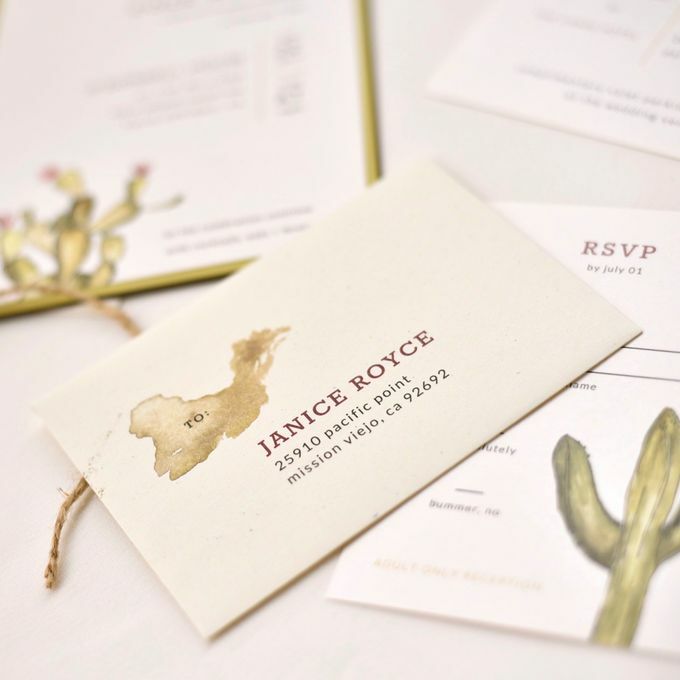 Stylistically sophisticated and earthy we love their eclectic color combinations to enhance your beautiful day. 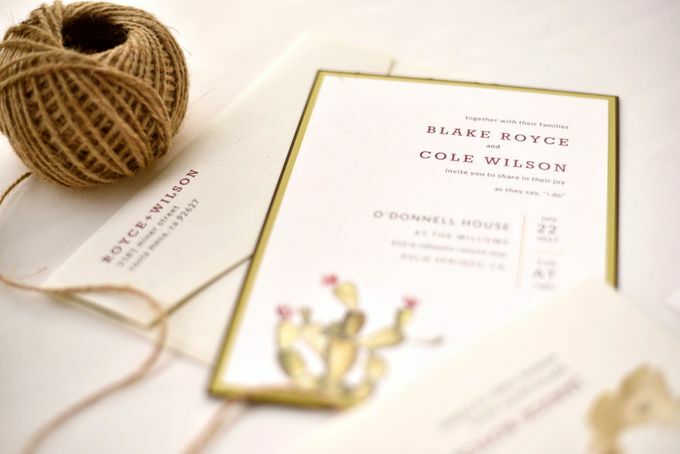 This invitation set is made to fit any of our 5x7 Enclosures and Outer Envelopes. Try a 5x7 Gate Fold or Pocket Card for a dreamy little package to send guests.